Ashton Kutcher’s Now a Single Man. Ladies? 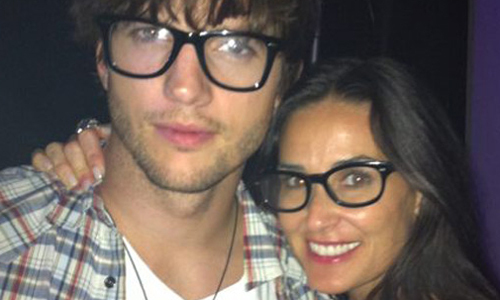 Two years after Ashton Kutcher and Demi Moore separated (following an incident during which his peen tripped and fell into a vag that wasn’t hers), the former marrieds are officially divorced. And her bank balance likely has an extra zero or two. We’ll give Demi this: She’s married very, very well. Or rather, she’s divorced very well — because despite few acting gigs in the past couple decades, she’s STUPID wealthy. As in, worth $150 million, thanks in no small part to the $90 million she got as a parting gift when she split from Bruce Willis in 2000. That meant she was the rich one when she got her cougar on and hooked up with Ashton five years later — but that was before CBS lost its goddamned mind and made him Hollywood’s highest paid TV star. Between that and his tech investments (he got in on Spotify, Skype and Airbnb early), he’s now worth $140 million. The exact terms of the divorce haven’t been disclosed, but it’s clear Demi felt the public humiliation she suffered when Ashton boffed a trashy rando (who couldn’t wait to tell the tabloids all about it) had a price tag, and she held out this long to make him pay. Maybe he finally settled so he could put a ring on Mila Kunis — before she realizes she’s dating WAY below her weight class and bails. Previous Previous post: Miley Cyrus Is Influential. LOL.